music newspaper Hotpres in July 1995. 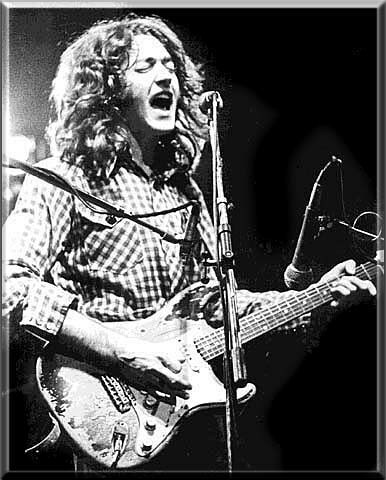 Rory Gallagher was an Irish blues and rock guitarist, singer and songwriter. Born in Ballyshannon, Co.Donegal, on 2 March, 1948, he grew up in the city of Cork. Based in London during most of his 30 year career, he toured extensively, sold 30 million records, and had a worldwide following of loyal fans. He died in London at the age of 47, on 14 June 1995, from complications following a liver transplant. Although he had suffered health problems for some time, he toured until falling seriously ill late in 1994. THE TIMES obituary (June 1995) described him as "an uncompromisingly serious musician", "a courageously honest performer ,who wrote his own material, and who considered the blues to be the most personal form of musical expression". commitment to making authentic, high quality music. Frequently described as a shy, friendly, modest man, Rory Gallagher was the antithesis of the blazing persona that he projected as a live performer. His grit and integrity earned him the respect and affectionate admiration of many. acknowledged as one of the finest blues musicians treading the boards. "The first Irish rock'n'roller and a unique blues guitar voice rolled into one. To all Music lovers out there ! 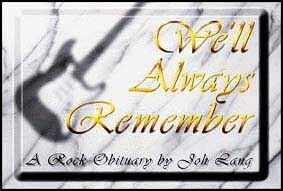 Click the " We'll Always Remember " Marble slab.